It seems like after a slow start, everything is blooming all at once. It’s hard to keep up with it all. Last Tuesday, for example, I saw thirty species of plants flowering in a few locations from Old Anglers Inn to Lock 10. Among them were two geraniums, one native and one alien. Geranium maculatum (wild geranium, Geraniaceae) is a clump-forming perennial forb that grows up to two and a half feet tall in moist soils. You can find it in open woodlands, meadows, and woodland edges. There’s a good amount of it growing off the Billy Goat B trail, along a footpath that leads up to the canal from about the trail midpoint, where it crosses a small stream. 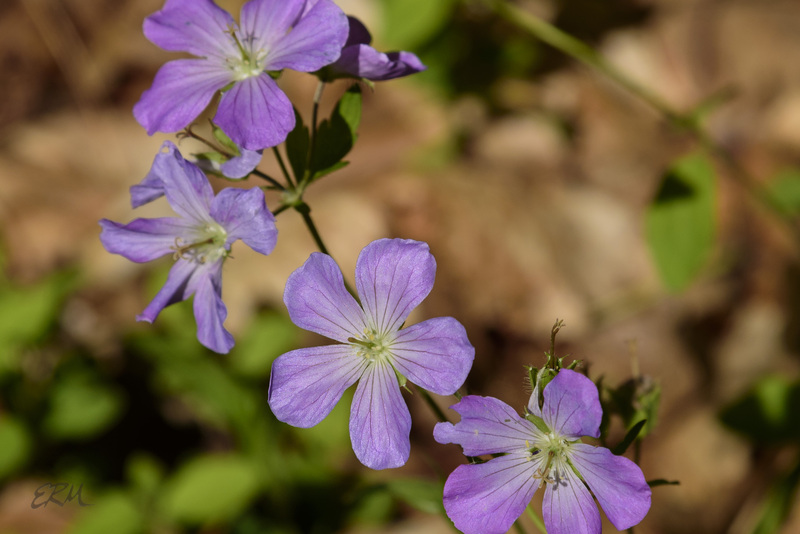 Wild geranium is found in a few parts of the easternmost Great Plains and the South, but mostly in the mid-Atlantic, Midwest, New England, and eastern Canada. In Maryland look for it everywhere except the southern parts of the coastal plain. It’s a great plant for the garden: it spreads, but not aggressively, is pest-free, and rabbit-proof (my new gold standard for native forbs). 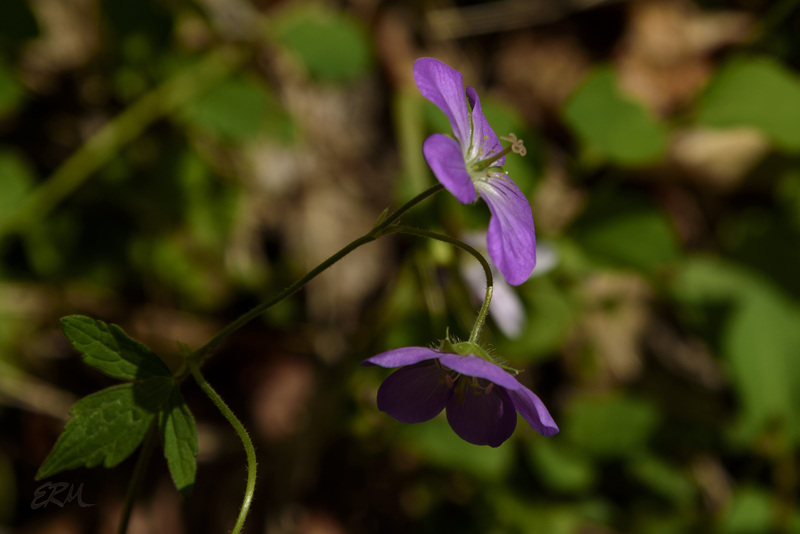 The other geranium native to the Maryland Piedmont, G. carolinianum (Carolina cranesbill) can also be found in the Carderock-Marsden Tract area, but I haven’t seen it yet this year. 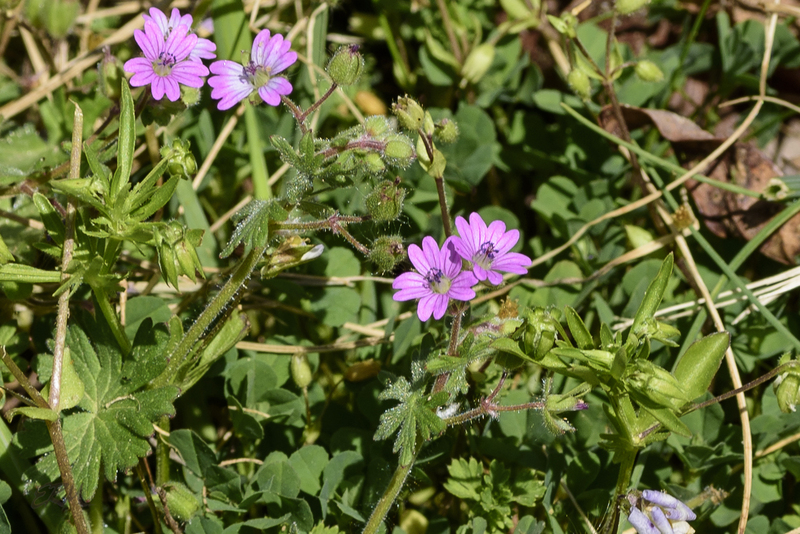 It usually starts blooming a few weeks after wild geranium. Note that the flowers are smaller and the foliage more finely cut. 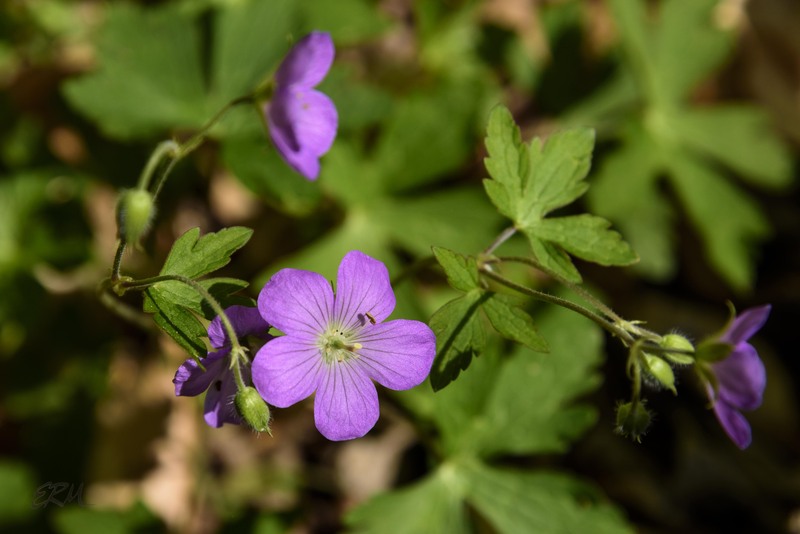 The Maryland Biodiversity Project shows 11 species of geraniums in the state, probably seven of which can be found in the Piedmont. Five of them are aliens. This one is G. molle, which I found growing next to the parking lot at C&O Canal Lock 10. As is often the case, I was looking for something else when I found it (more on that in a future post). In a frequently-mown area this plant is quite short and branched, as you’d expect, but left to grow it still doesn’t get as tall as G. maculatum. The flowers are smaller, too, and a more lurid shade of pink, and the leaves more intricately cut. 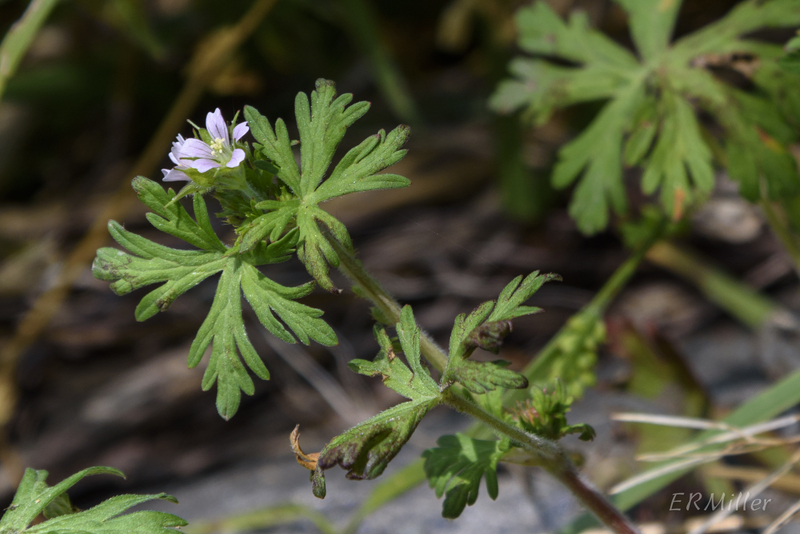 This entry was posted in Uncategorized and tagged Geraniaceae, Geranium by elizabeth. Bookmark the permalink.